Commercial traders have dropped their silver exposure to the lowest level in years, according to the latest commitment of traders report. Many commercial traders use futures to hedge existing exposure to silver. The reason many commercial traders have existing exposure is simply because they are ‘in the business’ of mining or buying/selling silver (unfortunately banks also fall into this category). Smart investors often follow the smart money. 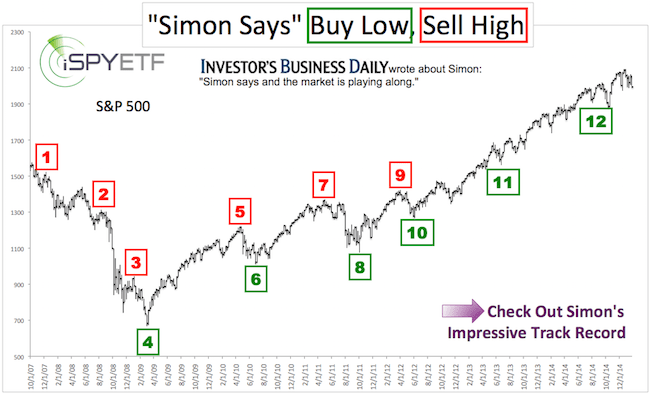 The chart below shows what the smart is money doing. It was originally published in the May 25 Profit Radar Report, and plots the price of silver against the net short position of commercial traders (hedgers are generally short to hedge their existing long position). The smart money is holding a record 62,485 contracts, the highest in years. The dashed red lines show what effect similar short exposure had on silver prices in the past. It wasn’t good. The last time silver was able to shrug off the same degree of short bets was early 2011, when the silver bull market was alive and well. If silver can rally despite this extreme, it may be an indication that the bear market is over. 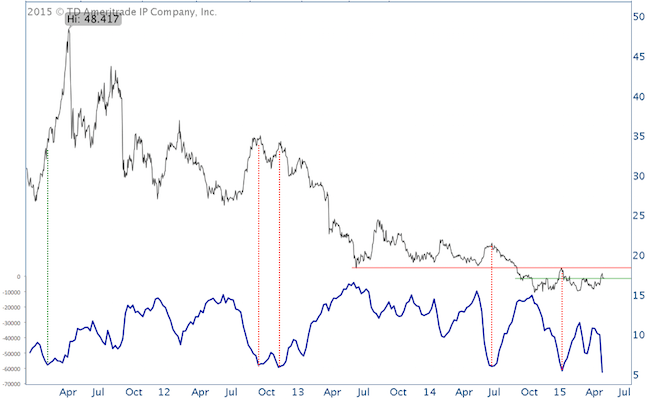 However, seasonality suggests lower prices (full silver seasonaliy chart is available to Profit Radar Report subscribers). 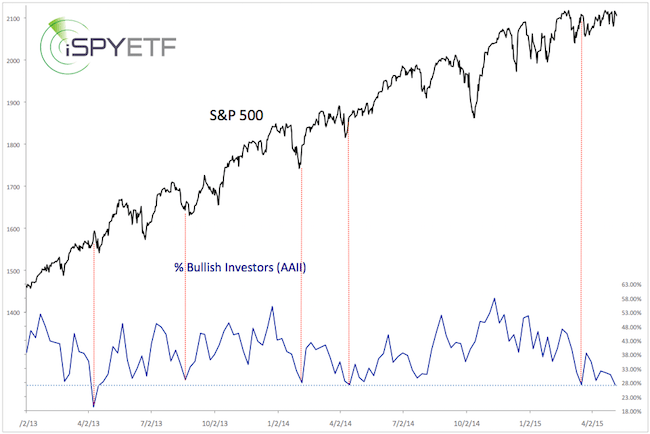 Sentiment and seasonality are two major driving forces. Technicals is the third. The short-term chart actually looks constructive, and would allow for higher prices. However, if trade breaks down, sentiment and seasonality suggest (much?) further down side. Continued analysis of the three major driving forces (technicals, sentiment & seasonality) for silver and other asset classes is available via the Profit Radar Report. The iShares Silver Trust (NYSEArca: SLV) is the easiest way to gain silver exposure. The ProShares UltraShort Silver ETF (NYSEArca: ZSL) is one way to bet on lower silver prices. 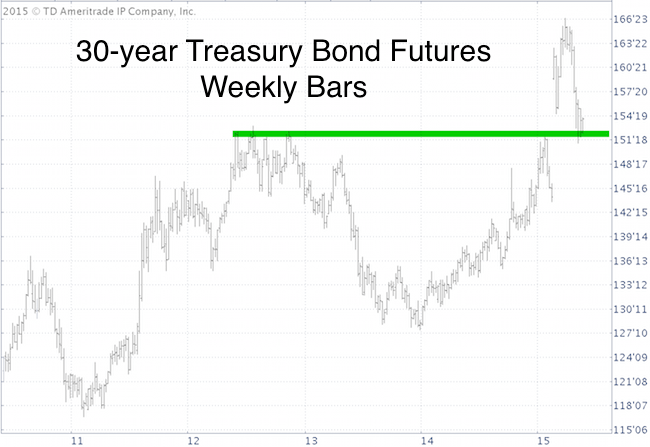 There was a minor bond scare as prices tumbled and yields soared. 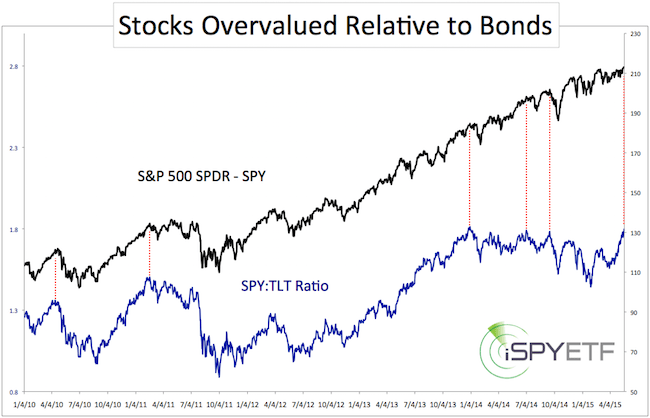 The drop in bond prices makes bonds more attractive relative to stocks, at least that’s what the SPY:TLT ratio says. SPY represents S&P 500, and TLT the iShares 20+ Treasury ETF (NYSEArc: TLT). The chart below, first published in the May 20 Profit Radar Report, plots the SPDR S&P 500 ETF (NYSEArca: SPY) against the SPY:TLT ratio. The SPY:TLT ratio soared to a new all-time high last wee, facilitated by a strong SPY and weak TLT. 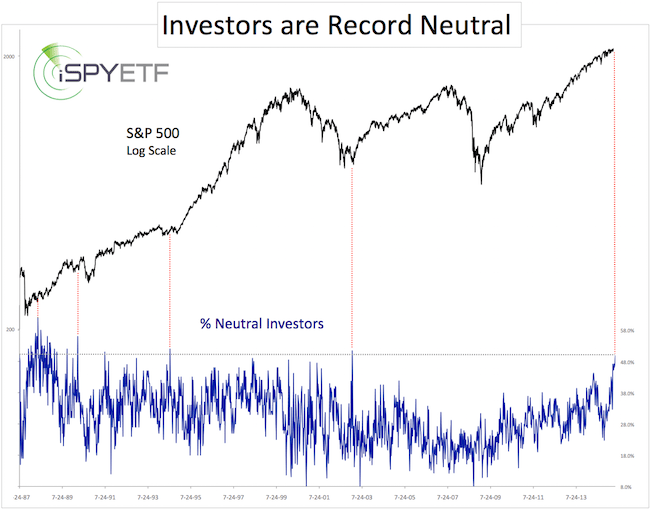 The red lines show that SPY:TLT extremes tend to have a wet blanked effect on the S&P 500, although it doesn’t necessarily translate into a buy signal for bonds. 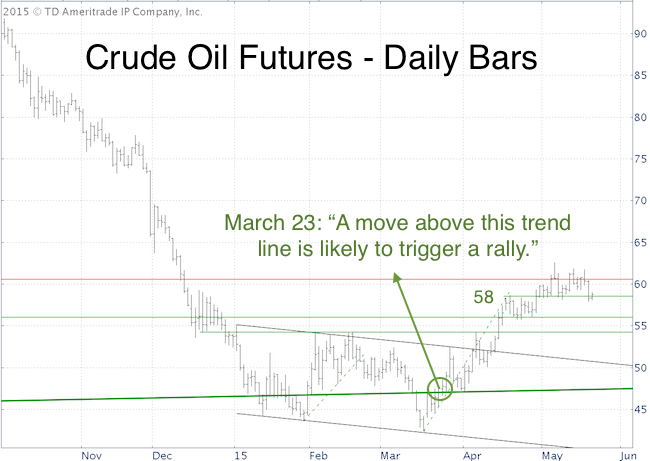 There is strong technical support for 30-year Treasury futures around 152. This should pause the decline and quite possibly spark a (sizeable?) bounce. As far as the S&P 500 goes, the SPY:TLT wet blanked effect might be enhanced by the biggest ‘window of opportunity’ for stock market bears to take charge. Here is a chart frequently seen in recent Profit Radar Report updates. 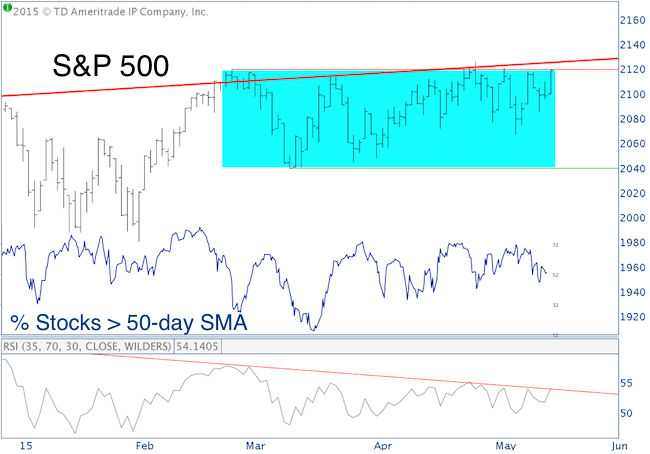 The S&P 500 (NYSEArca: SPY) is at the top of its trading range, just below key resistance. The bold red trend line goes back almost two decades. No wonder the S&P has stalled here. The percentage of stocks above their 50-day SMA has been lagging significantly. Buyers are obviously getting picky. RSI (Relative Strength Indicator) is bumping against its very own trend line resistance. Every attempt to move above has been repelled, thus far. Summary: The S&P 500 and RSI are at key resistance. A breakout here should reel in more buyers. However, the lack of participation (indicated by the % of stocks > 50-day SMA) cautions that buyer’s remorse will set in eventually and limit up side potential. Failure to break out may lead to lower prices. Detailed target levels for a breakout (if it occurs), and continued out-of-the-box analysis are available via the Profit Radar Report. Assuming this hasn’t put you asleep, you know that the Dow Jones (NYSEArca: DIA) has been taking a giant dirt nap. In fact, by one measure, it’s the longest dirt nap since 1910, and soon to be the longest ever. 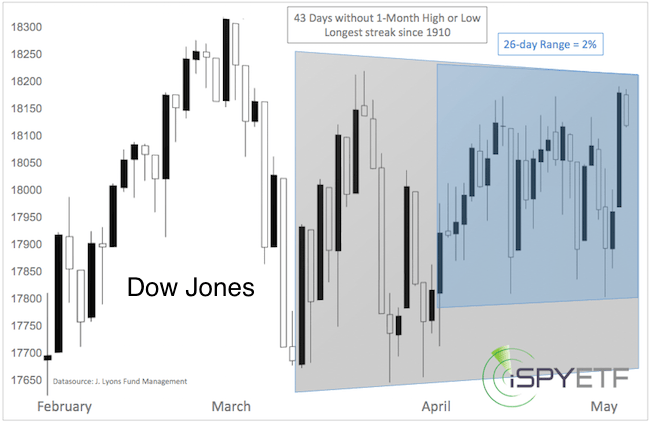 The Dow Jones has not recorded a 1-month high or low (based on closing prices) for 42 days. According to Lyons Fund Management, the longest such stretch dates back to 1910 and lasted 45 days. In itself, this is remarkable, but the next stat makes it even more remarkable. For the past 26 trading days, the Dow has been stuck in a 2% trading range (based on closing prices). This is one of the tightest ranges of the last 25 years, and the tightest range without a new 1-month high or low ever.